1 OWNER!! NO ACCIDENTS!! NAVIGATION!! MOONROOF!! HEATED LEATHER SEATS!! BOSE AUDIO!! HID HEADLIGHTS!! POWER DRIVER SEAT!! BACK UP CAMERA!! AUTO DIM REAR-VIEW MIRROR!! HEATED MIRRORS!! LEATHER WRAPPED STEERING WHEEL!! LOADED UP!! SUPER CLEAN!! WILL NOT LAST!! Take a look at this adult owned NISSAN ROGUE SL AWD with a squeaky clean AutoCheck RIGHT HERE at Balise Nissan of Cape Cod! Our trained technicians competed the inspection process and performed a fresh synthetic oil and filter change before our detail department made it shine, now all this nice ROGUE needs is YOU! We accept all trades and have the most competitive financing terms because of the volume power of Balise!! Call Balise Nissan of Cape Cod TODAY to schedule an appointment for a test drive at 508-815-4010 or drop by Monday - Thursday 9 - 8, Friday - Saturday 9 - 6 and open every Sunday 11 - 5! 1 OWNER!! NO ACCIDENTS!! CERTIFIED!! HEATED SEATS!! BACKUP CAMERA!! BLUETOOTH!! PUSH BUTTON IGNITION!! Take a look at this adult owned SENTRA SV a squeaky clean RIGHT HERE at Balise Nissan of Cape Cod! Must finance with participating lender to qualify for $450.00 NMAC cash included in online price. Our trained technicians competed the inspection process and performed a fresh synthetic oil and filter change before our detail department made it shine, now all this nice SENTRA needs is YOU! We accept all trades and have the most competitive financing terms because of the volume power of Balise!! Call Balise Nissan of Cape Cod TODAY to schedule an appointment for a test drive at 508-815-4010 or drop by Monday - Thursday 9 - 8, Friday - Saturday 9 - 6 and open every Sunday 11 - 5! NO ACCIDENTS!! CERTIFIED!! NAVIGATION!! BOSE SOUND!! SUNROOF!! LOADED UP SR!! Take a look at this adult owned SENTRA SR a squeaky clean RIGHT HERE at Balise Nissan of Cape Cod! Must finance with participating lender to qualify for $450.00 NMAC cash included in online price. Our trained technicians completed the inspection process and performed a fresh synthetic oil and filter change before our detail department made it shine, now all this nice SENTRA needs is YOU! We accept all trades and have the most competitive financing terms because of the volume power of Balise!! 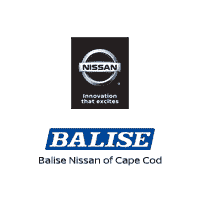 Call Balise Nissan of Cape Cod TODAY to schedule an appointment for a test drive at 508-815-4010 or drop by Monday - Thursday 9 - 8, Friday - Saturday 9 - 6 and open every Sunday 11 - 5! 1 OWNER!! CERTIFIED!! NO ACCIDENTS!! KEYLESS ENTRY!! BLUETOOTH!! Take a look at this adult owned SENTRA S with a squeaky clean AutoCheck RIGHT HERE at Balise Nissan of Cape Cod! This NISSAN is fully equipped with PW, PL, and much more! Must finance with participating lender to qualify for $450.00 dealer certificate included in online special price! Our trained technicians completed the inspection process and performed a fresh synthetic oil and filter change before our detail department made it shine, now all this nice NISSAN needs is YOU! We accept all trades and have the most competitive financing terms because of the volume power of Balise!! Call Balise Nissan of Cape Cod TODAY to schedule an appointment for a test drive at 508-815-4010 or drop by Monday - Thursday 9 - 8, Friday - Saturday 9 - 6 and open every Sunday 11 - 5! 1 OWNER!! CERTIFIED!! KEYLESS ENTRY!! PUSH BUTTON START!! REAR VIEW CAMERA!! POWER MIRRORS!! LEATHER STEERING WHEEL!! Take a look at this adult owned SENTRA SV with a squeaky clean AutoCheck RIGHT HERE at Balise Nissan of Cape Cod! This NISSAN is fully equipped with PW, PL, and much more! Must finance with participating lender to qualify for $450.00 dealer certificate included in online special price! Our trained technicians competed the inspection process and performed a fresh synthetic oil and filter change before our detail department made it shine, now all this nice NISSAN needs is YOU! We accept all trades and have the most competitive financing terms because of the volume power of Balise!! Call Balise Nissan of Cape Cod TODAY to schedule an appointment for a test drive at 508-815-4010 or drop by Monday - Thursday 9 - 8, Friday - Saturday 9 - 6 and open every Sunday 11 - 5! 1 OWNER!! NO ACCIDENTS!! CERTIFIED!! BLUTOOTH!! BACKUP CAMERA!! Take a look at this adult owned SENTRA SV a squeaky clean RIGHT HERE at Balise Nissan of Cape Cod! Must finance with participating lender to qualify for $450.00 NMAC cash included in online price. Our trained technicians completed the inspection process and performed a fresh synthetic oil and filter change before our detail department made it shine, now all this nice SENTRA needs is YOU! We accept all trades and have the most competitive financing terms because of the volume power of Balise!! Call Balise Nissan of Cape Cod TODAY to schedule an appointment for a test drive at 508-815-4010 or drop by Monday - Thursday 9 - 8, Friday - Saturday 9 - 6 and open every Sunday 11 - 5! 1 OWNER!! CERTIFIED!! NO ACCIDENTS!! HEATED SEATS!! BLUETOOTH!! PUSH BUTTON IGNITION!! Take a look at this adult owned SENTRA S with a squeaky clean AutoCheck RIGHT HERE at Balise Nissan of Cape Cod! This NISSAN SENTRA is fully equipped with PW, PL, and much more! Must finance with participating lender to qualify for $450.00 dealer certificate included in online special price! Our trained technicians competed the inspection process and performed a fresh synthetic oil and filter change before our detail department made it shine, now all this nice NISSAN needs is YOU! We accept all trades and have the most competitive financing terms because of the volume power of Balise!! Call Balise Nissan of Cape Cod TODAY to schedule an appointment for a test drive at 508-815-4010 or drop by Monday - Thursday 9 - 8, Friday - Saturday 9 - 6 and open every Sunday 11 - 5! 1 OWNER!! CERTIFIED!! BLUETOOTH!! BACKUP CAMERA!! Take a look at this adult owned SENTRA SV with a squeaky clean AutoCheck RIGHT HERE at Balise Nissan of Cape Cod! This NISSAN SENTRA is fully equipped with PW, PL, and much more! Must finance with participating lender to qualify for $450.00 dealer certificate included in online special price! Our trained technicians competed the inspection process and performed a fresh synthetic oil and filter change before our detail department made it shine, now all this nice NISSAN needs is YOU! We accept all trades and have the most competitive financing terms because of the volume power of Balise!! Call Balise Nissan of Cape Cod TODAY to schedule an appointment for a test drive at 508-815-4010 or drop by Monday - Thursday 9 - 8, Friday - Saturday 9 - 6 and open every Sunday 11 - 5! 1 OWNER!! NO ACCIDENTS!! CERTIFIED!! NAVIGATION!! SUNROOF!! HEATED LEATHER SEATS!! BOSE SOUND SYSTEM!! BACKUP CAMERA!! Take a look at this adult owned SENTRA SR a squeaky clean RIGHT HERE at Balise Nissan of Cape Cod! Must finance with participating lender to qualify for $450.00 NMAC cash included in online price. Our trained technicians completed the inspection process and performed a fresh synthetic oil and filter change before our detail department made it shine, now all this nice SENTRA needs is YOU! We accept all trades and have the most competitive financing terms because of the volume power of Balise!! Call Balise Nissan of Cape Cod TODAY to schedule an appointment for a test drive at 508-815-4010 or drop by Monday - Thursday 9 - 8, Friday - Saturday 9 - 6 and open every Sunday 11 - 5! 1 OWNER!! NO ACCIDENTS!! MOONROOF!! HEATED CLOTH SEATS!! TURBO!! KEYLESS ENTRY!! REAR VIEW CAMERA!! LOADED UP!! Take a look at this adult owned SENTRA SR TURBO with a squeaky clean AutoCheck RIGHT HERE at Balise Nissan of Cape Cod! This NISSAN is fully equipped with PW, PL, and much more! Our trained technicians competed the inspection process and performed a fresh synthetic oil and filter change before our detail department made it shine, now all this nice NISSAN needs is YOU! We accept all trades and have the most competitive financing terms because of the volume power of Balise!! Call Balise Nissan of Cape Cod TODAY to schedule an appointment for a test drive at 508-815-4010 or drop by Monday - Thursday 9 - 8, Friday - Saturday 9 - 6 and open every Sunday 11 - 5! 1 OWNER!! CERTIFIED!! NO ACCIDENTS!! BLUETOOTH!! Take a look at this adult owned NISSAN VERSA NOTE S with a squeaky clean AutoCheck RIGHT HERE at Balise Nissan of Cape Cod! Must finance with participating lender to qualify for $450.00 dealer certificate included in online special price! Our trained technicians completed the inspection process and performed a fresh synthetic oil and filter change before our detail department made it shine, now all this nice VERSA needs is YOU! We accept all trades and have the most competitive financing terms because of the volume power of Balise!! Call Balise Nissan of Cape Cod TODAY to schedule an appointment for a test drive at 508-815-4010 or drop by Monday - Thursday 9 - 8, Friday - Saturday 9 - 6 and open every Sunday 11 - 5! 1 OWNER!! CERTIFIED!! NO ACCIDENTS!! BLUETOOTH!! KEYLESS ENTRY!! Take a look at this adult owned NISSAN VERSA SV with a squeaky clean AutoCheck RIGHT HERE at Balise Nissan of Cape Cod! Must finance with participating lender to qualify for $450.00 dealer certificate included in online special price! Our trained technicians completed the inspection process and performed a fresh synthetic oil and filter change before our detail department made it shine, now all this nice VERSA needs is YOU! We accept all trades and have the most competitive financing terms because of the volume power of Balise!! Call Balise Nissan of Cape Cod TODAY to schedule an appointment for a test drive at 508-815-4010 or drop by Monday - Thursday 9 - 8, Friday - Saturday 9 - 6 and open every Sunday 11 - 5! NAVIGATION!! HEATED LEATHER SEATS!! MOONROOF!! PREMIUM SOUND!! BACKUP CAMERA!! MEMORY SEATS!! BLUETOOTH!! V6!! Take a look at this adult owned Honda ACCORD EX-L V6 a squeaky clean RIGHT HERE at Balise Nissan of Cape Cod! Our trained technicians competed the inspection process and performed a fresh synthetic oil and filter change before our detail department made it shine, now all this nice ACCORD needs is YOU! We accept all trades and have the most competitive financing terms because of the volume power of Balise!! Call Balise Nissan of Cape Cod TODAY to schedule an appointment for a test drive at 508-815-4010 or drop by Monday - Thursday 9 - 8, Friday - Saturday 9 - 6 and open every Sunday 11 - 5! 1 OWNER!! NO ACCIDENTS!! POWER DRIVER SEAT!! KEYLESS ENTRY!! BLUETOOTH!! USB!! POWER WINDOWS!! POWER LOCKS!! TOUCH SCREEN RADIO!! LOADED UP!! Take a look at this adult owned TOYOTA CAMRY LE 4CYL FWD with a squeaky clean AutoCheck RIGHT HERE at Balise Nissan of Cape Cod! This TOYOTA is fully equipped with PW, PL, and much more! Our trained technicians completed the inspection process and performed a fresh synthetic oil and filter change before our detail department made it shine, now all this nice TOYOTA needs is YOU! We accept all trades and have the most competitive financing terms because of the volume power of Balise!! Call Balise Nissan of Cape Cod TODAY to schedule an appointment for a test drive at 508-815-4010 or drop by Monday - Thursday 9 - 8, Friday - Saturday 9 - 6 and open every Sunday 11 - 5! NO ACCIDENTS!! BACK UP CAMERA!! BLUETOOTH!! USB!! ALLOY WHEELS!! LOADED UP!! Take a look at this adult owned KIA FORTE EX SEDAN with a squeaky clean AutoCheck RIGHT HERE at Balise Nissan of Cape Cod! This KIA is fully equipped with PW, PL, and much more! Our trained technicians completed the inspection process and performed a fresh synthetic oil and filter change before our detail department made it shine, now all this nice KIA needs is YOU! We accept all trades and have the most competitive financing terms because of the volume power of Balise!! Call Balise Nissan of Cape Cod TODAY to schedule an appointment for a test drive at 508-815-4010 or drop by Monday - Thursday 9 - 8, Friday - Saturday 9 - 6 and open every Sunday 11 - 5! Just browse the used Nissan inventory above and you will see why so many folks come to Balise Nissan of Cape Cod from Falmouth, Bourne, Cape Cod and Plymouth, MA in search of an affordable, quality vehicle. The entire line of pre-owned cars, trucks and SUVs we carry are vetted and ready to drive off the lot and up the coast now. As you might expect, our Cape Nissan dealership has, or can easily source, that used Rogue, Pathfinder, Altima or Sentra you want. However, we also have access to other makes and models to meet any need you have. You’ll find used Chevy cars, used Toyota SUVs and and much more. Browse now, or come to our Hyannis used car lot today. Found the Used Sentra, Pathfinder, or Rogue You Want? Get it on Your Terms! Finding a great used car in Hyannis is only part of successful ownership. With correct auto financing advice and fair car loan terms, we can help ensure that you can afford the car you want for as long as you want to own it.